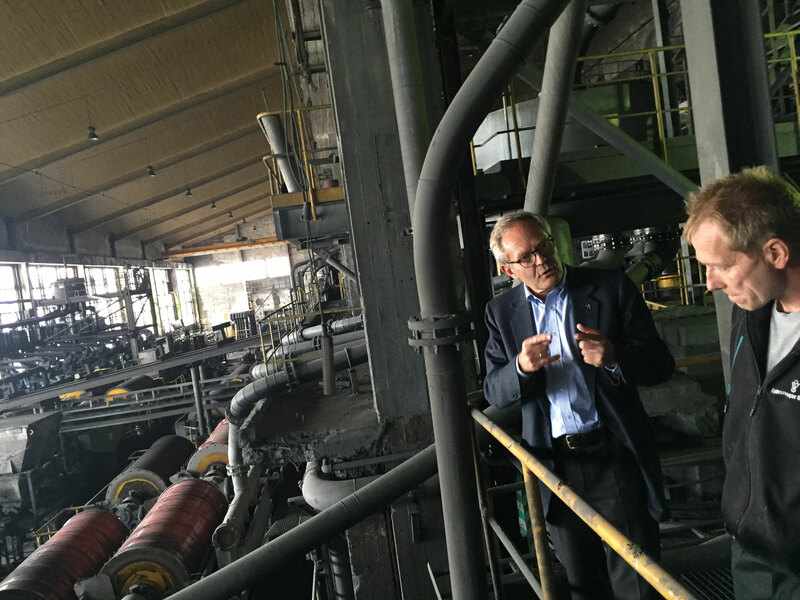 With American investors on board the mines near Kirkenes look set for a reopening. «We have world-class quality ore and excellent infrastructure - that is the main reason why they are interested», says Thomas Bækø. He is chief operating office at the Sydvaranger company and on Wednesday announced that the Orion Mine Finance is ready to invest in the reopening of the iron mines. The American investment company is now providing the project with $20 million of working capital. That sum could be increased by about $200 million as soon as the mining operations start. «It is a challenging and long-term project», Helge Bækø told the Barents Observer. «We are talking hard work and big investments,» he underlined. 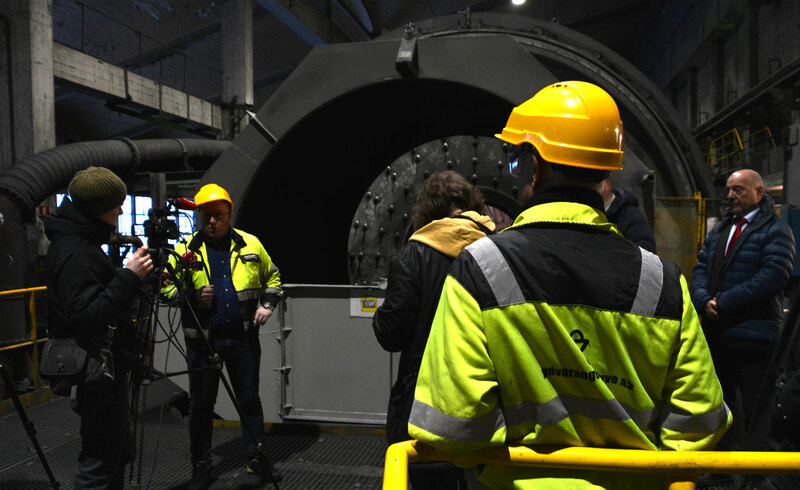 The company’s press conference took place inside the aging production plant in Kirkenes. The rusty facility from the 1950s is located almost in the middle of town and is connected by railway to the mines in Bjørnevatn about 10 km south. On the Kirkenes waterfront are large silos and deep-water port and terminal facilities, all of it owned by the company. 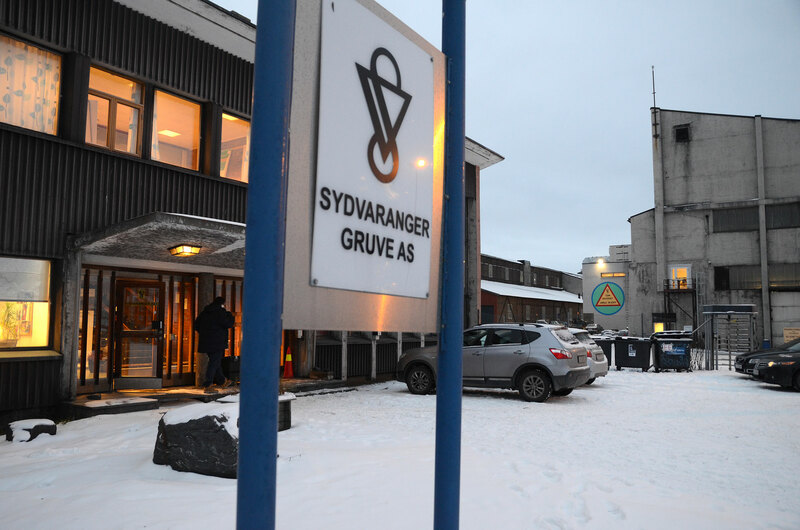 The Sydvaranger announcement comes almost exactly three years after the former owner of the mine declared itself bankrupt. Back then, the owners were from Australia and the iron ore price level only half of today’s. Debts mounted and in November 2015 the doors closed. About 400 people lost their jobs. It was not the first bankruptcy in the local mining history. In 1997, the mine was shut down after 90 years of operations. The state-owned enterprise was known for low efficiency and did not make profits despite hundreds of millions of government support. «Plans are better this time,» Bækø underlines. The new Sydvaranger partnership with Orion includes a commitment to fully finance the project over an estimated 20 years time period. With use of new approaches, volumes are to be boosted. In 2-3 years time, full scale production will be reached. Output is projected to be far higher than in the years 2009-2015 when the Australian Northern Iron operated the mine. In that period, about 30 million tons of raw iron ore was extracted from the mountains south Kirkenes. «We are extremely pleased to have a solid partner like Orion on-board for this next stage of Sydvaranger’s growth,» Felix Tschudi says in a press release. «We have fortunately found a partner that shares our views and has encouraged and supported us to make these plans even more definitive ahead of a re-start,» he underlines. Tschudi bought the remains of the Sydvaranger company in 2016. He makes clear that he is determined to make it a long-term success. According to Sydvaranger representatives, Tschudi will remain key owner, while Orion will be included as partner. The project development plan is supported by the American partner. «We are excited by the prospect of being a supportive partner for the long term, from the restart of operations next year,» says Michael Barton, Orion’s responsible for the Sydvaranger relationship. According to the New York-based company, Sydvaranger in May this year got a $20 million loan. The conditions for the credit are not known. Plans are big. But the Sydvaranger will not be able to relaunch mining before it has got the necessary government permission. 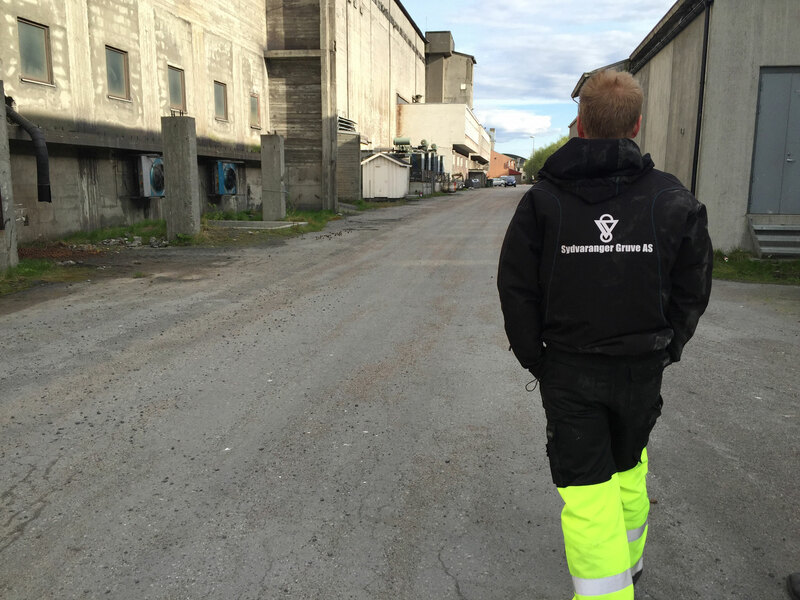 In March this year, the company applied at the Norwegian Directorate of Minerals Management for production license. That application includes extraction of 163 million cubic meters of rock, including 45 million cubic meters of ores, in the period 2018-2038. Consequences for nearby nature and settlements will be significant. Mining will be made from an open pit, and in order to reach the rich ore resources the company will have to remove large volumes of rock. According to the application, the volumes of rock are as big as 400 million tons. It will all be stored and deposited in and around the mining town of Bjørnevatn. The town of about 2,500 people will be surrounded by rock deposits. Several new storages will be built and old ones extended. The biggest rock mountain will become 120 meter higher. «This is a big day for Kirkenes and municipality of Sør-Varanger,» says local Mayor Rune Rafaelsen. «It means enormously much, it gives us another leg to lean on,» he says to the Barents Observer. When Rafaelsen was a young man, he was himself employed in the local mining company. «I worked here when I was a student, in the holidays, and I made really good money,» he recalls. He is not concerned about consequences from the extended and reopened local mining. 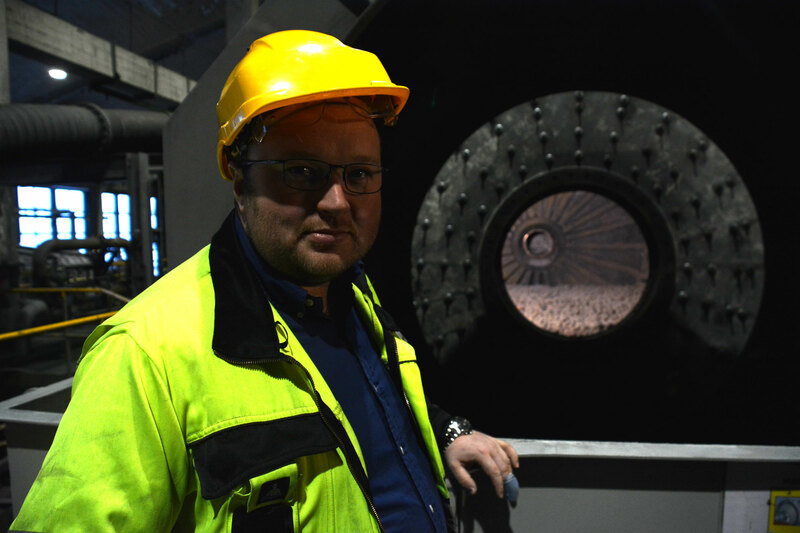 «Of course, all kinds of industry have a negative side, but here in Kirkenes we are used to it,» he says. According to the Sydvaranger representatives, there will be a need for about 400 new jobs. That will not come easy. The local municipality from before has a low unemployment and many workers will have to be recruited from outside. «These will be full-time workers», says Thomas Bækø. «And we want them to come from here,» he makes clear. Some of the people who previously worked in the mine might want to return. But many might question the credibility of the job offers. After all, only three years ago they were fired and left on the dole. Neighboring Finland and Sweden might offer salvage. Both countries have powerful mining industries and many qualified workers. «With the current state with so few unemployed people here locally, we have to expand and regional recruiting is a key,» says Bækø. The Independent Barents Observer is a journalist-owned newspaper. It takes a lot of hard work and money to produce. We therefore got a small favor to ask; make a contribution to our work.